I love LOVE loooooove to eat crab. All types of crab. But, one of my favourite would definitely be the blue swimmer (or flower crab)… probably ranking 2nd right after the hairy crab! 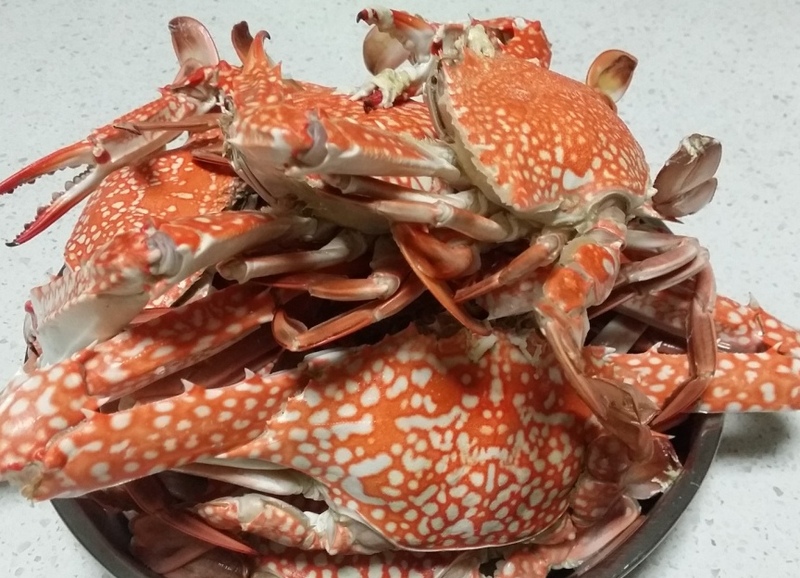 Yesterday my dad got a big load of freshly caught blue swimmer crabs from a friend. We had a huge crab feast. We took 4 big ones to be steam with ginger and egg white and another 4 stir fry with curry and egg. It was awesome. So fresh and sweet. There were still 8 huge ones left in the icebox. The problem with blue swimmers is if you don’t cook them immediately, their meat and texture deteriorate over time (quite quickly too). So, what I did was I bring a huge pot to boil. Throw in a small spoon of salt (not too much since seafood has that natural sea saltiness). No OIL please. Clean the crab carefully especially around the area where the legs connect to their shell. Some like to cut of their sharp pointy legs (to allow for easy storage). But, I’m too lazy to do that since it was already 9pm by then. Throw in the crabs and they will immediately turn red. Don’t be full. It’s not cooked yet! Remember the crabs have pretty solid shell. And since I’m cooking them whole, it needs to be in the water boiling for at least 20mins (depending on the size also). Once they are cook, take it out to cool for at least 1 hour… or more. Maybe place it under the fan. Try not to leave it out for more than 3 hours. Once the crabs have cooled down and dry off. I wrapped each crab individually in glad-wrap. Wrap on several layers and ensure they are tightly wrapped (to have at little air as possible inside). After that I place a few crabs into one ziplock bag. These are good to throw into the freezer. This way, you can keep the crab in the freezer for the next 2-3months. 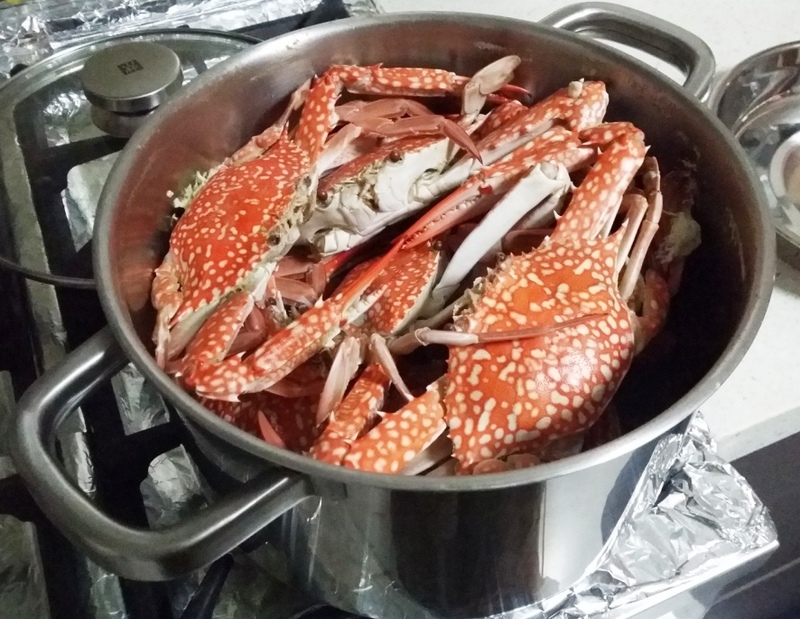 When you feel like having a crab, just bring one or two out from the freezer and allow it to thaw in the fridge overnight (at least 24 hours). NEVER thaw the crab in room temperature. A Generous dash of oregano and basil. So now I have some awesome stock of blue swimmer freezing in my freezer. Anytime I feel like having a crab, it’s there !